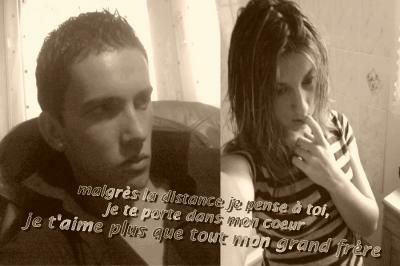 Ce pEtIt pOèMe pOuR Te rEdIrE EnCoRe a qUeL PoInT Je tIeNs a tOi mAlGrÈs lA DiStAnCe, Je t'aImE PlUs qUe tOuT, jE Ne vEuX PaS Te pErDrE ( UnE PeUr kI M'EnVaHi, DsL D'ÊtRe pArAnO) !!! tU SaIs a qUeL PoInT Tu cOmPtEs pOuR MoI, tU A UnE TrÈs gRaNdE PlAcE DaNs mOn cOeUr, Je t'aImE PlUs qUe tOuT MoN Ti aNgE GaRdIeN A MoI !!! Ne m'oUbLiE JaMaIs sTp, J'aI tElLEmEnT bEsOiN dE tOi !!! trè bel parol sur cette foto!